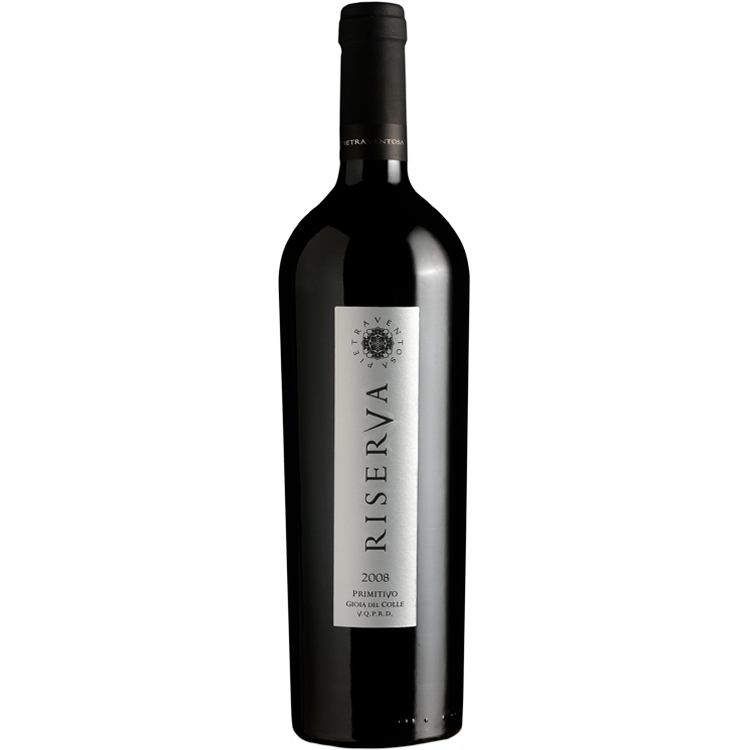 RISERVA of Pietraventosa is the result of an authentic passion for wine. 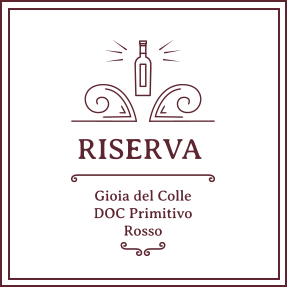 Unfiltered and bottled in a limited edition, RISERVA of Pietraventosa keeps the thousand souls of Primitivo of Gioia del Colle. 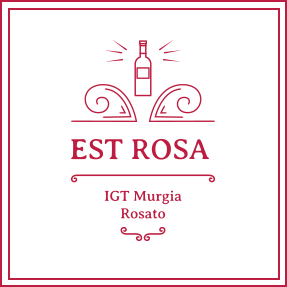 Of an intense ruby-red shade, almost impenetrable, it reveals to smell its flavours of ripe fruits harmonically matched with hints of spices. It fills the mouth, rich and velvety, with closeknits tannins well balanced with the wine richness. 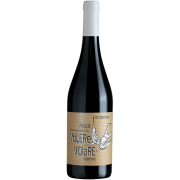 In its long and harmonic ending, it unveils a lingering and pleasant almond flavour. 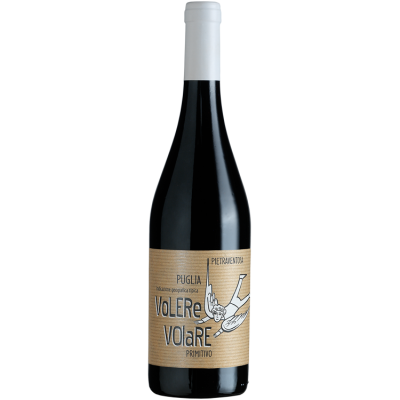 Vinification Manual harvesting in box. Fermentation: 15 days. Maceration 5 days. Soft pressing. Ageing 3/5 months in stainless steel; 18 months in Barrels. At least 12 in bottle. 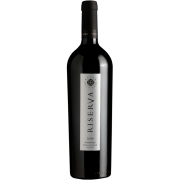 Bottle Bordolese troncoconica scura da 800 g.